﻿﻿﻿I get asked how does Online Programming works. Truth is it doesn't work for everyone, some people need constant supervision for motivation, or various anxieties and reasons. When it does work it's with individuals who have the discipline to follow the program religiously, according to everything it specified, and are good at communicating any issues or questions that come up when and if it does. It starts with a little correspondence for me to get as clear of an idea of where the person is at physically, his goals, setbacks and what not, followed by him/her sending me videos of requested material. For the program I would work toward these goals using my knowledge from life long practice and research, developing skills and creating ability, fixing and preparing joints and mobility per the requirements, jumping over many seemingly impossible hurdles, and correcting bad impeding technique. Once I write the program, the person would take a few days to study it, he/she will make me a video to show he understood how to perform it correctly, with newer people many times the first video of the program isn't on a good enough level, at which case I will ask them to re shoot the videos with corrections, as many times as it takes till I can see they fully understood what is needed. Once the program is done on a sufficient level, we will schedule the start date and they will run with the plan for the next 6 weeks. Toward the end of the cycle we will have a second review (if not more), and then prepare for the next program. During the 6 weeks session the person will have the program printed with him/her in the designated practice days and times, and basically follow the instruction and enjoy the changes and development. Expect lots of the progress to also happen by video reviews! I work with people at all levels on a variety of skills and physical preparations. Ask me about my more beginner friendly type of programs. The program i write is very time sensitive, any delay in the starting date will take away from its accuracy. My Online Instruction is individually designed for your specific needs. It would take a bit of both of our time to get you started, please consider that I might have to put you on a waiting list before taking you on, or if needed, start you on a more general condition program first. Contact us now! and get started on your online program! - Be a joy to work with. - Be consistent in your work and take massive action (think outside the box). - Be attentive to every part of the movement, don't rush it or brush anything off, it's not about finishing off, it's about the time you spend with yourself. - Be on top of your training, be your own coach and contact me a lot, don't be waiting for me to contact you! 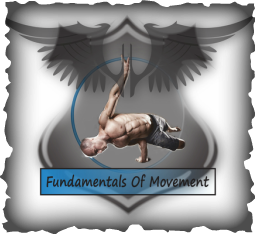 - As you train, take note of what happens in your body in terms of balance, symmetry, weak areas, etc.. This input will help us in the cycle and planning future ones. Do these and I will be thrilled to work with you!